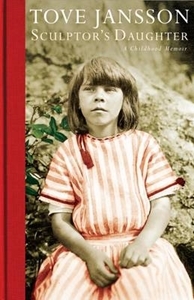 Tove Jansson's first book for adults drew on her childhood memories to capture afresh the enchantments and fears of growing up in Helsinki in the nineteen tens and twenties. Described as both a memoir and 'a book of superb stories' by Ali Smith, her startlingly evocative prose offers a glimpse of the mysteries of winter ice, the bonhomie of balalaika parties, and the vastness of Christmas viewed from beneath the tree. With rare images from the Jansson family archive, it makes a perfect gift.